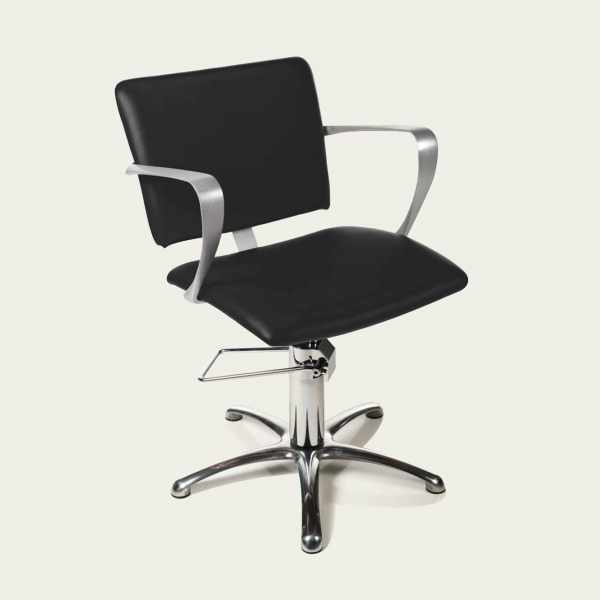 This swivel styling chair comes without a base. armrests and backrest support in polished aluminum. seat in polyurethane material upholstered with vinyl. (available in a variety of colors).